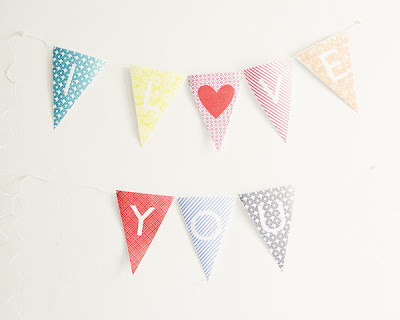 If you head over to Ruffled you can download this free alphabet bunting from Two Brunettes. Use it to write out any message that you like. 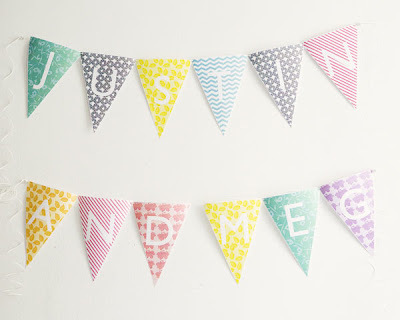 From Welcome Home to Happy Birthday, it has to be one of the most versatile party printables out there. And you can download each letter individually, so you can print out just the letters that you need. Hmmm. The link is working for me. Is anyone else having a problem? When I saw the alphabet I thought... cute. But the I love you made me fall in love. I would like to make a banner saying something like... for the first time in your life Tara you won something, and it's an awesome trip to Kentucky with a really cool lady that you don't even know, but you are sure you'll hit it off and who cares you get a much needed break from the babes. So hurry up and pick me as the winner!